I've never seen an animated stamp set before and I'm very excited to try this out. I'm going to do a basic run through first so we can get a feel for how the set works then I'm going to do a second one with some pizzazz. The directions for both will be the same, just using different papers and such. 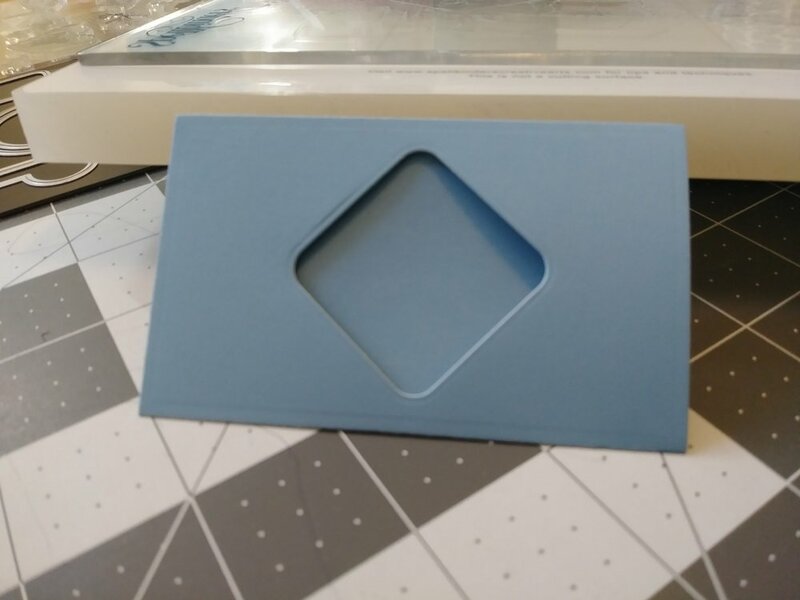 Starting off, I'm going to use my Spellbinders Platinum 6 die cut machine to cut out the basic shape of the project, Figure 1. When it comes out the other side you get what you see in Figure 2. In Figure 3 you notice the score lines. You will be folding along those lines but here is where I noticed that I didn't die cut out a window to see my image so I'm going to run it back though using the small square, Figure 4. Now we see how this is supposed to look. Fold at all the score lines (Figure 5) and glue it together so that small flaps are on the outside. You could glue it on the inside but it will be harder to push and pull the acetate. Once I glued mine together, it bowed a little bit, Figure 6. I opened it before my glue had a chance to set and cut a small sliver on each side, Figure 7. It closed perfectly after that, Figure 8. 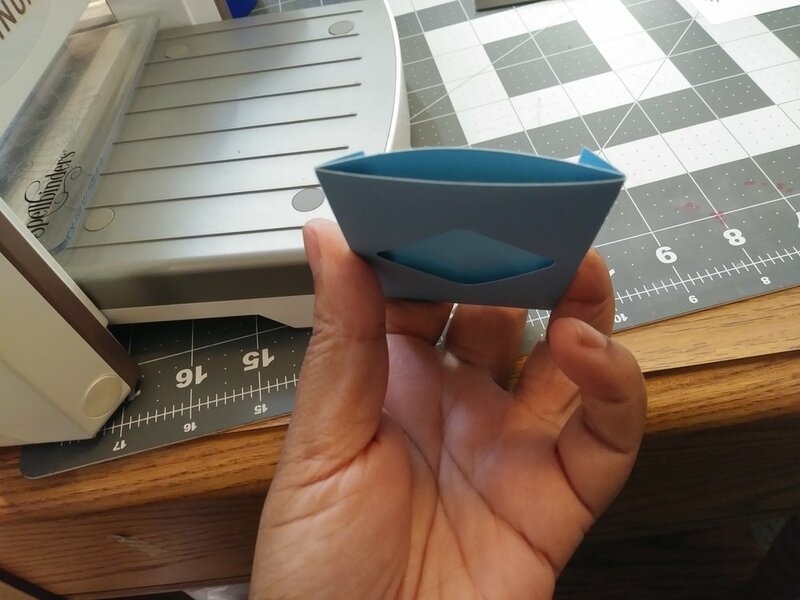 I didn't want to just stamp on the blue background so I used the template die to cut a white rectangle out of my cardstock, Figure 9. Before you do this part I would suggest using a regular sheet of white paper. The cardstock made it too bulky and difficult to pull the acetate so I went back in and changed the paper. While I was running things though my Spellbinder I went ahead and used the tab die to cut out the handle for the acetate. Next, I cut a part of the acetate to fit my card. In retrospect I probably could have ran this through my Spellbinder again but I didn't think about that and cut it with my scissors. Once I had it to the size I needed I glued my tab to the acetate, Figure 11. Make sure to glue it on the edge so that you can move it back and forth. I almost made the mistake of gluing it flush to the side. If you're this far you're almost done. Put your animated stamp on an acrylic block and stamp your image. This set came with a cute little beating heart. Since this was the first time I used this stamp I used my Tim Holtz Stamp Platform to make sure that if all the ink didn't transfer or transferred splotchy, I could re-stamp the image without having to go through the problem of lining up the stamp again. This is not necessary to have it's just very helpful. You can see how it came out in Figure 13. 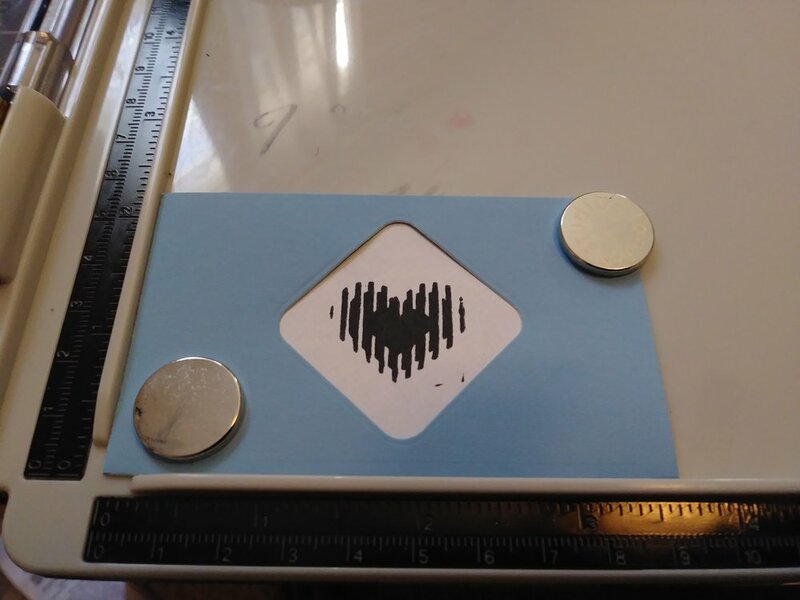 All that is left to do now is to put in the acetate and watch the heart beat. I think it's so neat that I did this with my own hands. I'm going to show this to my mom. The second time around I'm going to use some of the suggestions I mentioned earlier. You can see my newer creation in Figure 15. I really liked this project and this die set. If you want to show me what you came up with, @ me on instagram. I'd love to see what you came up with.